Show off beautiful florals with this design by Jennifer Bosworth of Shabby Fabrics! 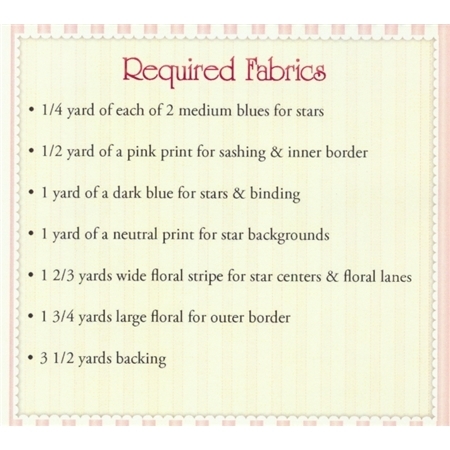 Each star center features a floral, while the two vertical lanes are perfect for floral border prints. Pattern includes all instructions for the 51 1/2" x 68 1/2" project.